Research is increasingly showing that reading - a simple everyday pleasure for most of us - brings measurable health benefits for the those who are unwell or on society's margins. In the inevitable dash to the loo between lunch and the afternoon session of the recent Reader Organisation Conference, two women were discussing their own particular "addiction". One was explaining that she'd initially been relieved to discover there were no books to buy in the British Library Conference Centre. Then she'd spotted that a few paces across the concourse took her to the BL Bookshop, where she was easily able to find her "fix". I can't remember what she’d bought and it doesn't matter - what struck me was her sheer joy in having a new book in which to lose herself, perhaps a book that she wouldn't normally have happened upon. So different from an exchange I once heard in a Groucho loo, when a woman berated her friend for snorting more than her fair share of a line of coke. The women were among the 60 staff and 80 volunteers working with the Reader Organisation (TRO) who "deliver" 326 Get Into Reading groups across the UK every week, taking books and poems into schools and supermarkets, libraries and care homes, prisons and hospitals, GP surgeries and hostels, basements and boardrooms, creating in each a shelter from the storm of daily life. Or as founder Dr Jane Davis put it in her welcome letter, "creating stimulating, friendly and non-pressured environments that provide stability, support and enjoyment". They, and some of the 500 people trained since TRO was established as an independent charity in 2008, were attending its third annual conference, held under the banner "Reading to Live Well". Also among the 200-odd delegates were academics and representatives from NHS trusts, refugee services, borough councils and libraries, and from MIND, the Alzheimer's Society and the Fostering Network, as well as a light sprinkling of members of the book world, among them agent Mary Clemmey, alerted to the Organisation's work by an old friend who's a trustee. All had come either to pool their experience of "shared reading" or to learn what therapeutic benefits could be brought about by such low-cost "treatment". Recently named as one of "50 New Radicals in Britain" by the Observer and NESTA, the Reader Organisation has roots that are themselves testimony to the benefits of reading, for its founder left school with two GCSEs and was a single mother at 18 before "finding" herself through books and going back into full-time education, eventually earning a PhD. 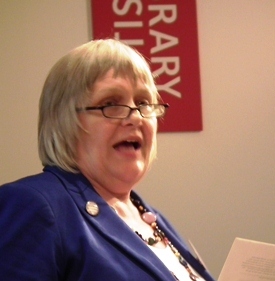 Jane Davis set up the first Get Into Reading group in 2002, for young single mums at a library in Birkenhead, Wirral, so creating a model that allows people of all reading abilities to come together to enjoy great literature, and to use that literature as a launch-pad for personal discussion. Blake Morrison shone a light on the imaginative work being undertaken in an early article for the Guardian. 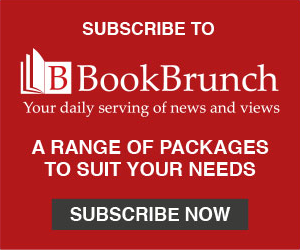 "The reading cure", and since then enlightened individuals from across the health and welfare spectrum have engaged with the Reader Organisation, seeking to write a new prescription for some of society’s most marginalised individuals and providing some remarkable case studies along the way. At the British Library, TRO's first conference outside its home territory, delegates heard from Fiona Johnstone, Director of Public Health for NHS Wirral and Wirral Council, about the forging of closer links with libraries and the creation of "wellness centres", and about groups run for individuals recovering from drugs and alcohol addiction. In some instances, people in recovery who were separated from their children had recorded themselves reading aloud and sent the tapes back to their families, "so they are still reading to their children". In an elder care facility, two people who routinely sat next to each other in the lounge but never spoke had opened up during shared poetry reading, which sparked memories and enabled them to chat about their childhoods. Research into reading projects with people suffering from dementia has revealed that 86% were less agitated, 86% had an improved mood, and 87% had better concentration. Some dementia patients were less reliant on drugs. Johnstone stressed that Wirral bought into TRO services: "We don’t commission on a whim - we don't make investments lightly. More research is needed, but we see worthwhile outcomes. Just look and listen, and you can see positive effects." She expressed the hope that the latest NHS overhaul, with the creation of "health and wellbeing boards" and health officials "interfacing" more with council officials, some of whom are Get Into Reading advocates, would give the reading cure a boost. In the same session, "Why Shared Reading Works in the Community", Nicola Hazle, Senior Manager of Psychological Therapies for Central London Community Healthcare Trust, talked about work in Kensington and Chelsea with people suffering from depression and anxiety, undertaken with GP commissioners, Depression Alliance and a local mental health provider offering "a range of interventions for people in shifting settings of care". Feedback from "Book Breaks", held in "safe and positive" community settings where patients were given "the tools and techniques" to help them find a way through their problems, showed the sessions to be "a gift". Hazle said that evidence from patients undergoing Cognitive Behavioural Therapy suggested they "can grow" in such settings. "Shared reading works in community sessions because it is the community." Davis later quoted a 58-year-old member of a Brompton Library reading group, a schizophrenic who'd had loving but unwell parents and who had made "wrong choices". Coming to the group initially had not been easy, he wrote, "but when I did, I thought this is me! Book Break sets me up for the week. I have found it very educational and it has confirmed to me that I’m as good as anyone else." As a result, he had been able to plan a funeral and read a eulogy - once unimaginable tasks. Megg Hewlett, a London Project Worker for TRO, cited work with groups of people, two in acute mental inpatients wards, which has been funded through Primary Care Trusts. The aim is that people move from inpatient groups to open community groups, often held in libraries, which are "safe for mental health patients. Some are referred, some just walk in the door. But we don’t need to know." One man said he wanted to "reinvent himself, to have an identity beyond someone who has mental health problems". A woman attender at one such group said she came "in order to stay out of hospital". Research was cited showing that 85% of attendees end up befriending someone with whom they'd never have connected outside of a book group. Which is why the first message of Five Ways to Wellbeing - a sort of emotional "five a day" which grew out of Foresight Project on Mental Capital and Wellbeing - is "Connect" (the others are "Be Active", "Take Notice", "Keep Learning", and "Give", not in terms of money but in terms of time and engagement in the community). The message is a holistic one, a taking to heart of that old saying mens sana in corpore sano. In the closing plenary, "Imagining the Patient: Medicine and Literature", Dr Iona Heath, a former Kentish Town GP who is now President of the Royal College of General Practitioners, suggested that would-be medics and scientists were allowed to turn their back on serious reading too early, which means that as busy students and busier medics they read hardly at all. She was speaking from personal experience. It was only when she was given a three-month sabbatical in 1989 that she began to read seriously. Her plan, she recalled, had been "novels in the morning, and in the afternoons I was going to be the perfect mother. My children would come home from school to the smell of baking." Heath asked "respected friends" which 10 novels they would read if they could choose only 10. Everyone mentioned Middlemarch, Bleak House, Emma and Anna Karenina - "I was 39 and hadn’t read any of them; I hadn't the time." She never did bake - the kids came home to find their mother curled up on the sofa with a book - but simply read and read and read. She discovered that "things I knew about but couldn’t utter were uttered for me". She paraphrased the late American critic Lionel Trilling, who wrote about the ability of literature to challenge the morality and conventions of culture - "no one who reads thoughtfully will ever again be certain". And she cited experiments by William Carlos Williams, poet and doctor, transcribing what patients told him when diagnosed with inoperable cancer and "how easily it became poetry". Words, said Heath, "are most important for the most damaged", physically and mentally, "and to work effectively doctors need to be able to imagine each patient’s predicament. Doctors need imagination and words… Consultation is about life stories and poetry. What doctors are taught bears little relationship to what they do." In Norway, she noted, medics must take a compulsory philosophy course. Lemn Sissay, poet and playwright and TRO Patron, had earlier said that while he was growing up in various homes, books had created a space inside which his imagination could take hold.